We all know the SEO basics. Keyword research, on-page optimization, off-page SEO techniques, and so on. But these techniques are a look inwards. To skyrocket your SEO strategy, you also have to look outwards. This is where competitor SEO tracking enters the game. And in this post, we’ll cover the basics you need to keep track of competitor SEO. 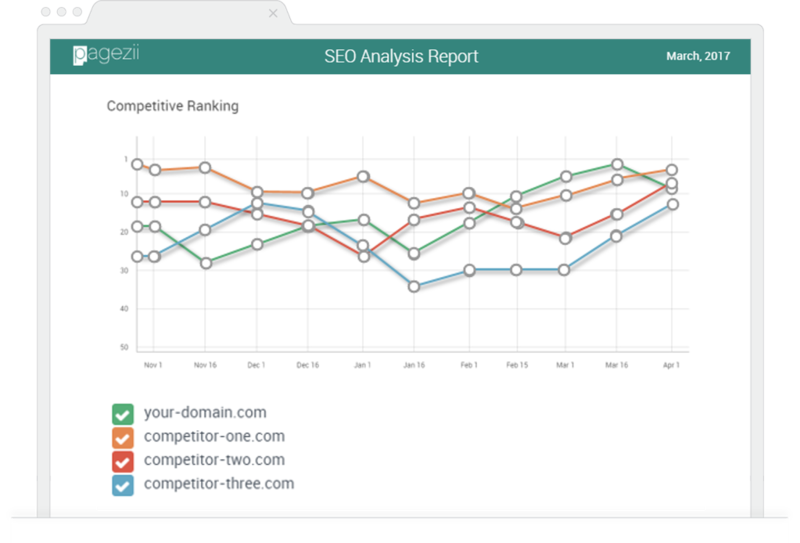 Keep reading and learn about competitor SEO tracking. When tracking competitor SEO performance, there are a few fundamentals to cover. These are the building blocks for analyzing competitor search engine strategies. And if you use them right, they’ll inform your own strategy helping your SEO skyrocket. There it is, your checklist for competitor SEO tracking. And because you want to get the most from this checklist, you’ll need the details. Keep reading to learn more. SEO is all about ranking high for keywords valuable to your business. These keywords are also valuable for your competitors. So why not start tracking competitor SEO here. Look at SEO rank for specific keywords. When looking at specific keywords, some are more important than others. For high-value keywords keep a close eye on where your competitors rank. If they rank above your site, it’s worth analyzing their content. So what are you analyzing? How they use keywords within their content. These are a few SEO ranking factors to get you up and running. Once you’ve found answers to these questions, look at competitor rank over time. This gives you insight into competitor strategy development. After tracking competitor keyword positions, look at overall rank over time. This snapshot shows which direction competitors are trending. It also sheds light on competitor SEO strategy success. If a competitor’s SEO strategy is trending upward over time, you know they’re doing something right. They’re probably optimizing SEO elements. Maybe they’re also hitting home on social promotion. Or driving quality traffic to their site through marketing. Whatever it is, an upwards trend in SEO rank tells you that the competition is on the right track. Time to start analyzing. Now we’re getting into the finer details. By analyzing SEO scores, you’ll see how well competitors are optimizing content. This gives shows you where competitors are missing the SEO mark. Breakdown competitor SEO scores for cornerstone pages. You may see a few different scenarios play out. High SEO score and high rank – Competitor is optimizing search engine elements well and has built page or domain authority. High SEO score and low rank – Competitor has their SEO elements covered. They know what they’re doing, meaning their page or domain authority should increase. Low SEO score and high rank – Competitor isn’t taking advantage of SEO elements. this leaves the door open for you to optimize. But high rank means they have an established presence in your industry. Low SEO score and low rank – Competitor is not making use of SEO properly and hasn’t built their online authority. Whichever plays out, you can develop your own SEO game plan with these scenarios in mind. So we know a blog is an awesome top-of-funnel means for driving site traffic. Not only that, but they’re also great for building trust with your visitors. But that’s not our focus for this post. Because we’re talking SEO. And yes, blog analysis plays a role in competitor SEO tracking. We know a blog is a powerful tool for driving site traffic. Site’s using their blog right will find a good portion of traffic comes through this channel. So this means you need to track competitors blog SEO. Have a look at your competitor’s relevant blog posts. There are a few things you can look at here. Average blog SEO score (basic) – use this data to benchmark your blog SEO against the industries. Trending keywords (advanced) – this shows you which keywords your industry are focusing on. This could show you new keywords your competitors are targeting. Popular social platform (advanced) – Social signals play a factor in SEO. So look into the social platforms your competitors are targeting. If you notice competitors getting tons of engagement, it’s worth adjusting your own strategy. 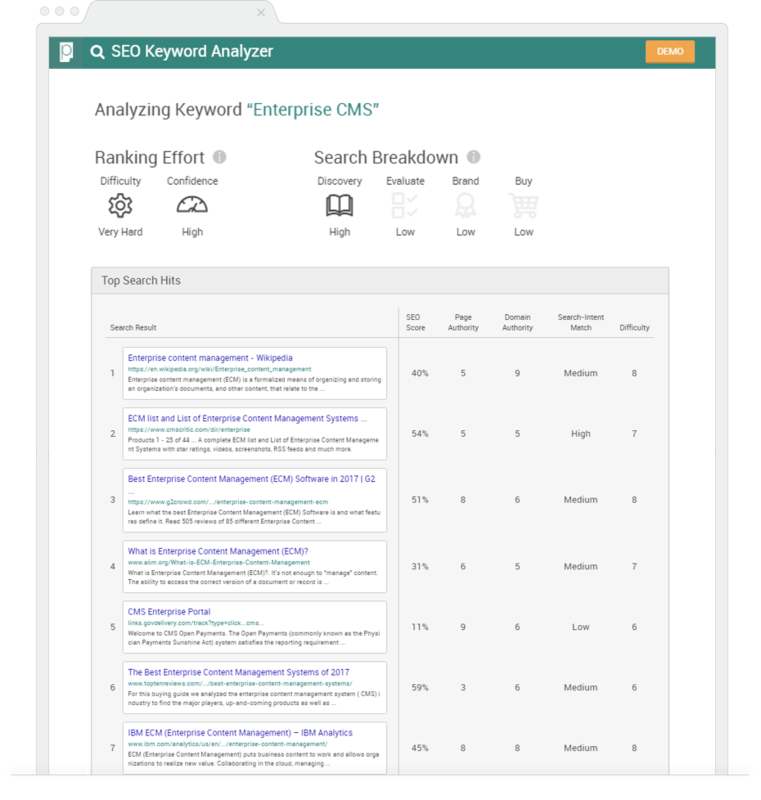 The final stop on the competitor SEO tracking train is SERP Analysis. I know, it sounds broad. But we’re looking specifically at search-intent matching. This is will take your competitor SEO tracking to the next level. Search-intent matching means how users are searching for a keyword and what they expect to find. You can also take your SERP analysis one step further. See if it’s feasible to rank well for a keyword depending on organic competition. This is when we factor in page and domain authority. For search-intent matching, if you notice competitors are aligning their content with a user’s search intent that they’re using SEO-savvy. Optimizing your content for a keyword is important. But targeting a keyword and hitting home on search intent match is SEO 2.0. So make sure you’re checking your competitors SERP results for search intent. We have to look at our own SEO performance when optimizing strategies. But to take our SEO strategies to the next level, we need to look outwards. This means analyzing competitor SEO. 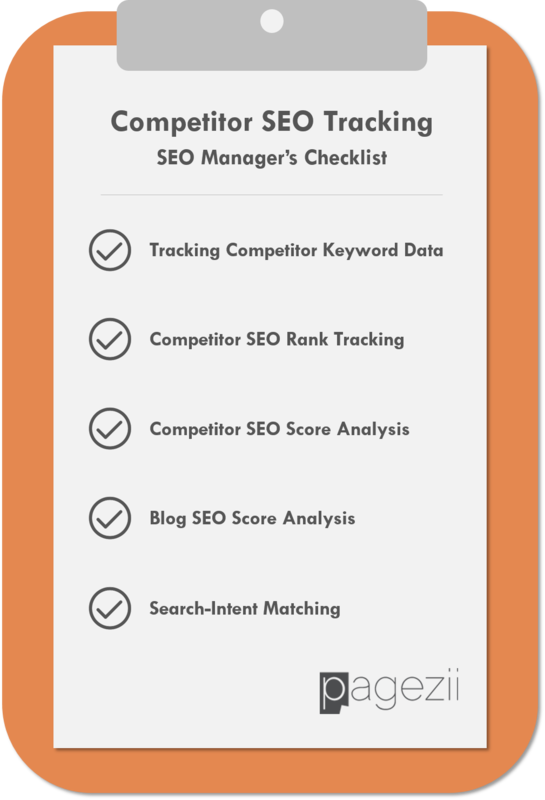 The next time you’re tweaking your SEO strategies, use this competitor SEO tracking checklist. You’ll find value by analyzing your industry’s approach to search.